For the first time, anti-corruption compliance practitioners are discussing the new era of global anti-corruption enforcement. Companies and individuals face increasingly aggressive—and increasingly coordinated—enforcement in multiple jurisdictions and the attendant collateral consequences. 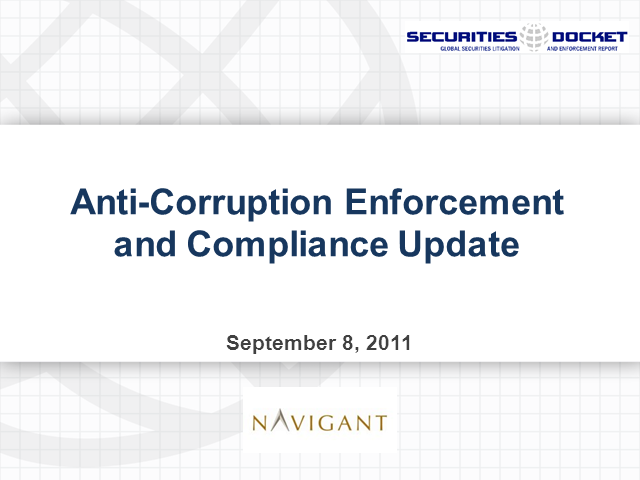 So far in 2011 in the U.S., we have seen a record number of defendants challenging FCPA charges and testing the DOJ and SEC’s view of the law, legislators and business groups working to clarify and limit the statute, and whistleblowers lining up to receive their bounty under the SEC’s new whistleblower program. Globally, the U.K. Bribery Act is forcing companies to retool their compliance programs, and the risk of a multiplicity of enforcement actions threatens to upend the prospect of global settlements. This webcast, featuring an experienced panel of anti-corruption compliance practitioners, will cover the key trends shaping anti-corruption enforcement and provide practical views on the tough questions posed by today’s global enforcement regime. Directors, senior executives, in‑house counsel, and compliance personnel can benefit from these experts that deal daily with the legal and business challenges posed in this area.